Project: Block 20 Condominium Tower, Portland, Ore. 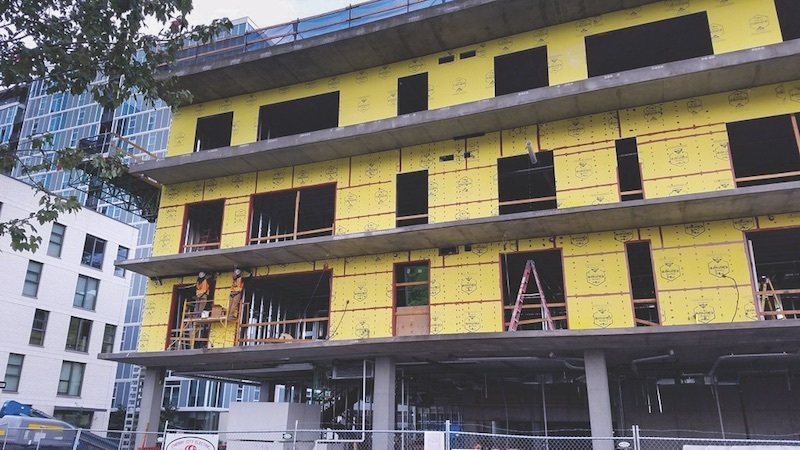 Problem: Needed a building envelope that could withstand Portland’s rainy climate. 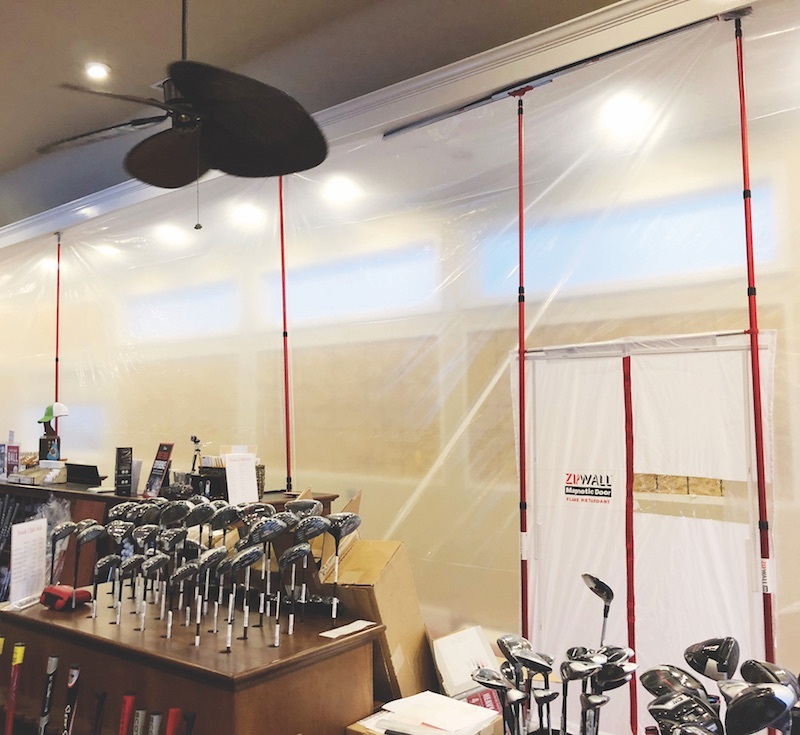 Solution: DensElement Barrier System with AquaKOR Technology integrates a gypsum core and a fiberglass mat to form a hydrophobic, monolithic surface that blocks bulk water but allows vapor to pass through. On the team: Bora Architects (design architect), Western Partitions (subcontractor), Andersen Construction (GC). JC Ripberger (exterior contractor), Turner (GC). Project: Thornton Flats, Austin, Texas Problem: The builder desired a relaxed South Austin vibe and wanted to highlight the indoor-outdoor spaces. Solution: The façade was accentuated with a metal mesh leaf pattern. It was created by powder-coating the surrounding mesh in antique bronze, which appears black. A tan wall behind the 50%-opacity mesh creates a 3D effect. On the team: PSW Homes (developer, designer, builder), L&S Erectors (installer). 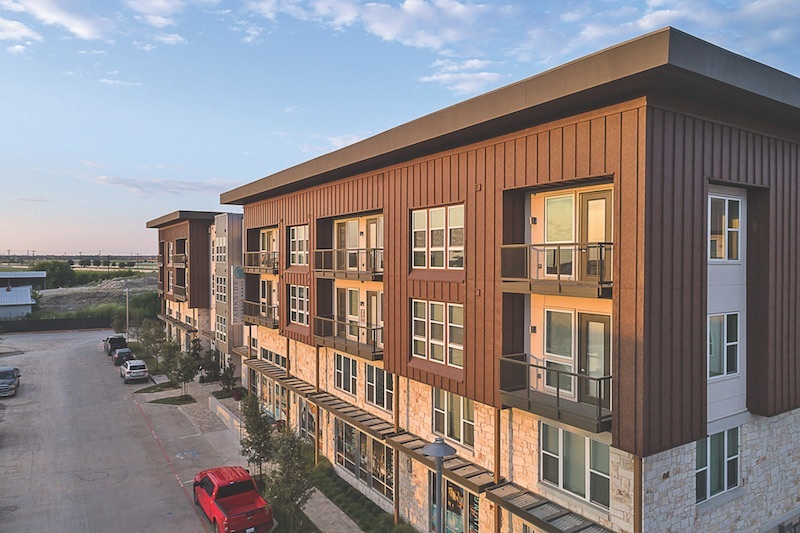 Project: The Parkside at Craig Ranch apartments and townhomes, McKinney, Texas Problem: The design team desired a weathering “corten steel” aesthetic, inspired by the canyons and countryside near El Paso. Color match, availability, and budget were critical. 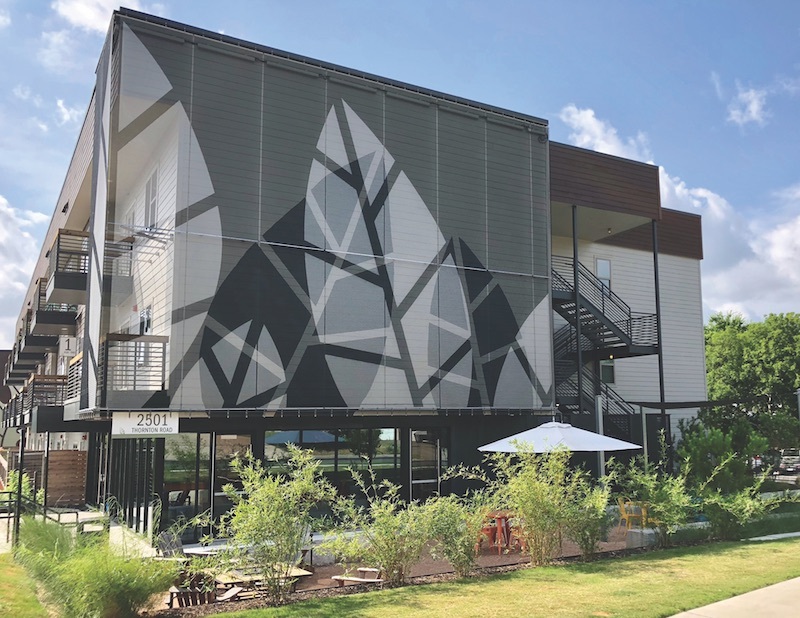 Solution: 11,000 sf of PAC-CLAD standing seam wall panels finished in Weathered Steel. The two-coat finish, by Sherwin-Williams Coil Coatings, replicates the multi-tone appearance of actual weathered steel. On the team: JHP Architecture, Stazon Roofing (metal fabricator). 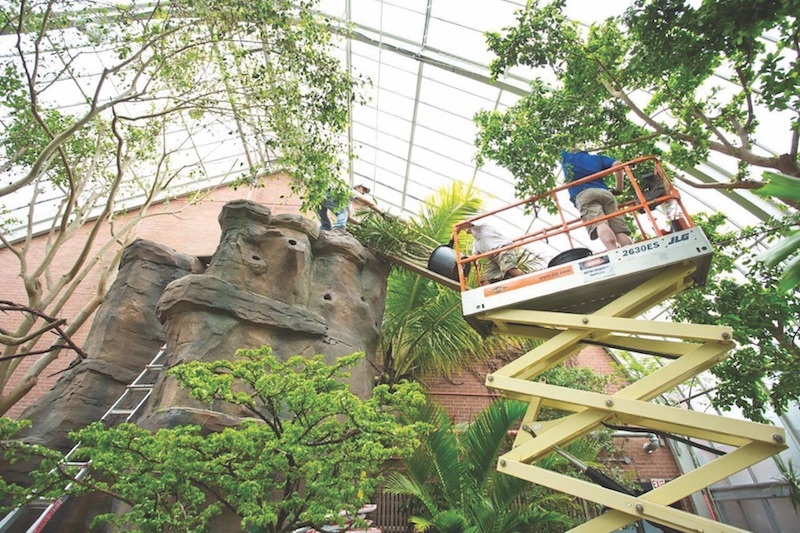 Project: The National Aviary’s Tropical Rainforest, Pittsburgh Problem: Required a glass roof that would sustain wildlife and plant life throughout the year while keeping the spaces bird-safe. 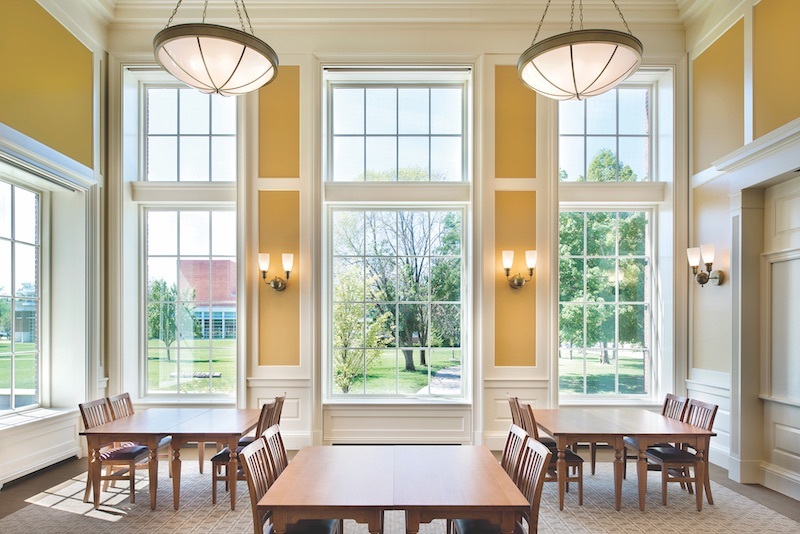 Solution: 3,100 panes of laminated Starphire Ultra-Clear Glass (from Vitro) with a bird-friendly AviProtek acid-etched finish (Walker). On the team: Montgomery Smith (preservation), Dlubak Specialty Glass (fabricator), Greenhouse RSI (installer).